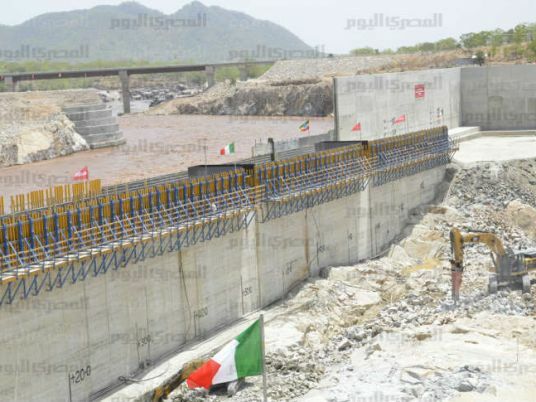 Egyptian MP, Abdel Hamid Kamal, along with 18 other MPs submitted an urgent memorandum to the Parliamentary Speaker, Ali Abdelaal, rejecting the scheduled visit of the Prime Minister of Ethiopia to the Egyptian Parliament, in order to discuss the potential dangers of the Grand Ethiopian Renaissance Dam. The MPs’ memorandum went on explaining their reservations and concern about the Ethiopian PM piling pressure against Egypt, claiming he will “spare no effort against Egypt in all international forums,” in pursuit of gaining support and continuing construction of the Grand Ethiopian Renaissance Dam. Additionally, the memorandum called for meetings between MPs and ministers for agriculture, irrigation, and foreign affairs, as well as national experts, to discuss the ongoing issue of the dam.